Seachem the makers of the AquaVitro line of aquarium products have just announced the release of a highly durable aquarium cleaning pad. The product announcement doesn’t sound all that exciting but a lot or testing a product development has gone into this new aquarium glass (and acrylic) cleaning pad. The pad was designed to last longer than other cleaning pads on the market. Best of all it’s safe to use on acrylic tanks. 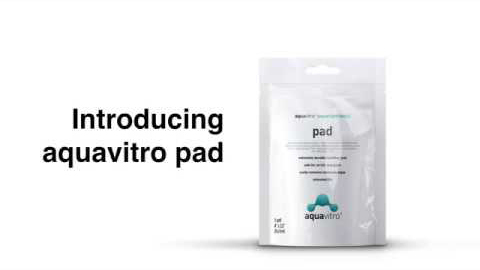 The pad will easily remove stubborn algae as well as algae buildup inside scratches that you may have. The dimensions of the pad are: 10cm x 9cm ( 4” x 3.5”). The AquaVitro line is not available for online store sales. 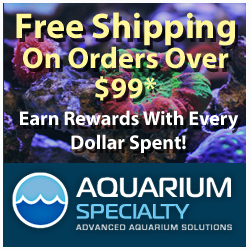 To purchase AquaVitro products visit your favorite local aquarium retail store. To learn more about AquaVitro products visit their website here.